Film plays a crucial role in establishing and spreading the representation and understanding of different cities across the world. This is due to the camera’s artificial eye, which deliberately leads its audience’s view, and to film’s “status as a peculiarly spatial form of culture”. The city of Berlin has been an important subject in film since the beginning of the last century. Because of its ever-­changing character, it was both narratively and architecturally shown from many perspectives and provoked a wide range of views, interpretations and fantasies. Berlin suffered the destruction of the bombings of World War II and was finally pulled apart by the Allies. Germany’s capital was wounded and torn. This left its traces in the fate of both citizens and cityscape. 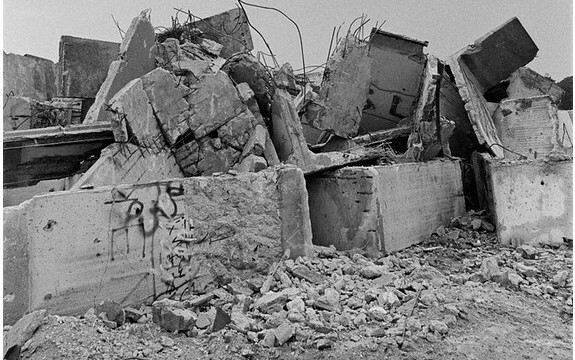 The simple breaching of a concrete wall, the space‐transforming impact of the so-­called Wende, the reunification of Germany on 3rd October 1990, became last century’s major event, changing Berlin’s spatial nature as well as its people’s lives. During the period of separation, the Wall was the most perceptible separating element: an edifice created to disconnect political and ideological spaces. It prohibited access and thus communication and opinion making. This burdened and injured the urban topography as well as the inhabitants. It drew a line of emptiness and created a void of silence in the middle of the city.